After waiting far too long to jump into the pool of Deluxe Tolkien editions published by HarperCollins, I settled on finding a boxed set of The Hobbit, LOTR, The Silmarillion, and The Children of Hurin. I was fortunate in finding one in (mostly) excellent condition. The Hobbit, LOTR, and Silmarillion are all in great shape, but The CoH has a couple of minor things that may compel me to find a substitute. Thus, I figured it wouldn't hurt to get some tips from true authorities in the field. I understand that there were many Italian printings of CoH (which is what I'm looking for), but later copies were printed in... Hong Kong, I believe? I don't know, but those pictures are from his own eBay and Abe listings, and [importantly] posted in Chronological order. It is very hard to interpret them in a favourable light. 1. As a self-proclaimed expert, he should be aware of the problems (even if he acquired the book like it presents in the final image). 2. We know he didn't acquire it as it presents in the final image because of the earlier listings, and because - prior to that - he had the same book for sale at Blackwells, who ended up changing the description of the book when it was brought to their attention that the spine was from a later impression (not by me, just for clarity). He likes to say you should buy from an expert, but if doing so does not protect you from the issues described here (whether just by incompetence or worse), what is the point? Interesting, that you prefer the American deluxe volumes. I've had the red leatherette LOTR, the green leather Hobbit, and the gold leather 50th Anniversary Hobbit for decades. While I do like enjoy them quite a bit, I recently got the "time to update the library" bug. After looking at a bunch of options - and reading and viewing many reviews of various editions - (Folio Society, Easton Press (no offense, but I find them to be hideous), the Houghton Mifflin 50th Anniversary LOTR, the HarperCollins Deluxe volumes, the 60th Anniversary LOTR and Hobbit sets, etc. ), I settled on the HarperCollins books from circa 2008. To be honest, trying to get a handle of all of the various editions over the years isn't easy. And those are just the HarperCollins black covered versions of which I'm aware. If I hadn't gotten lucky with finding the HarperCollins boxed set from 2008 or so, I probably would have gone for the 50th Anniversary LOTR one-volume edition from Houghton Mifflin. I just realized that, when replying, it doesn't automatically quote the person to whom I'm replying. Sorry for any confusion. Stu - Thanks for clarifying about dunedain. My post thanking them for their suggestions was to The_Antiquarian and Trotter. My post re: Paulies preferring the American Houghton Mifflin editions was - you guessed it! - to Paulies. The Harper Collins deluxe leather ones circa 1999 - 2002 are my favorites, aside from the super deluxe CoH and S&G I'd say those were Harper Collins best effort. As for the American deluxe big red one is just awesome, and 2 color text throughout, marbled end papers, bound in leather with matching slipcase and you can pick them up quite reasonably priced with shipping to the U.K. I like it so much I have 2 haha. I like the 2nd Folio editions, I think from 1990 but I think the recent green ones are horrible, I have not got the more expensive folio set nor any Easton press, I may go for Easton though as I bought the last Unicorn by Peter S Beagle by Easton and its gorgeous. My other half asked me why I have so many of the same book, I had no answer. Nope, not China. They only had one print, so far as I am aware, and certainly S&G got remaindered. I paid less than $5 for it a few years ago. No idea what the print run was, but for CoH, it was 25,000 copies. FWIW, the S&G is slightly thinner than the HC version, both in terms of the book and slipcase. I've got 10,000 copies down for CoH's 1st print, can I ask where you got the 25k from please? And three prints for sure (S&G had one). Yep, sorry, you are right about the CoH having multiple prints. I remembered that after I wrote it that it had at least two, as my copy got a bit bumped and I decided not to return and get the reprint (and there is mention of it on here in a thread from 2007). 25,000 was what I read at the time and noted down. It is certainly more than possible your number is correct and mine isn't, though. Source is lost in the mists of time. Thanks Stu. I generally tried to get at least two agreeing sources for numbers like that on the site; can't recall them offhand but this may have been one. Hello, you could also seek the copies from Tolkienbookshelf.com, if you care to buy a four-volume set and I do not think he will break it. 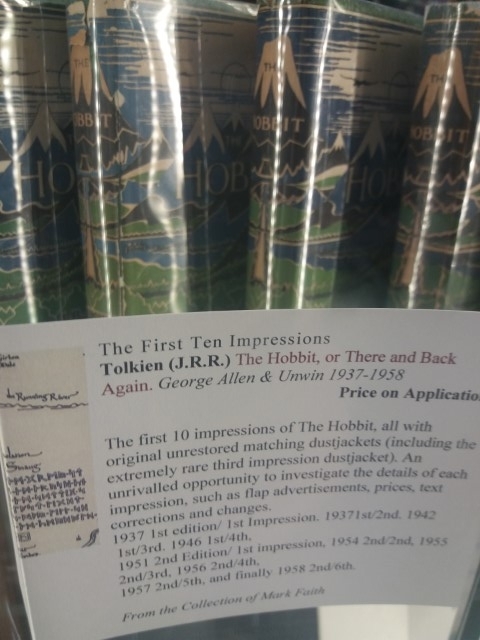 However, they all come in 1st impression of the deluxe set and from my previous experience, Tolkienbookshelf.com is one of the few trustworthy Tolkien-specialist seller. Minor correction - The LoTRs in the boxed set are all either 2nd or 3rd impressions. It wasn't issued with any 1sts. The other three volumes are all 1st impressions. 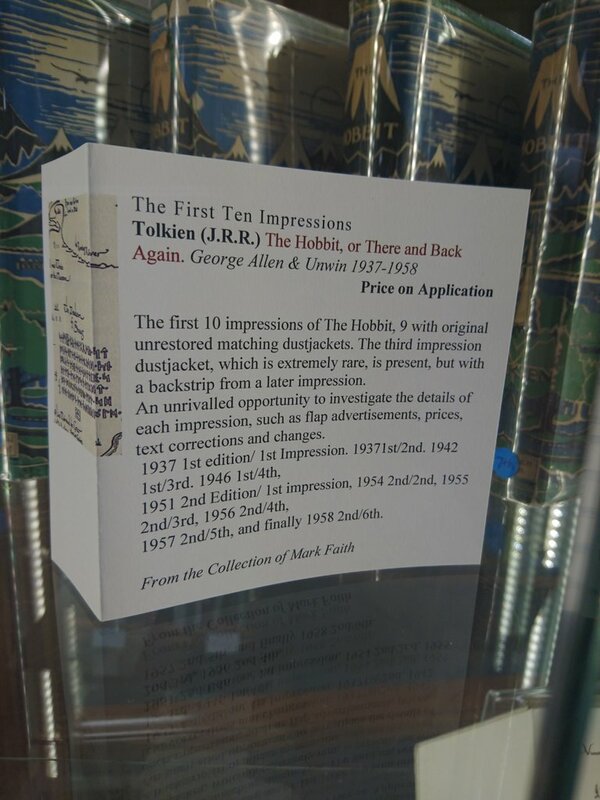 Stu, these are 1st impressions according to the tolkienbookshelf.com site, they are in a slipcase made for them i.e. they are not the HarperCollins boxset. Ahh, OK. Sorry, I should have looked. I assumed the HarperCollins set. My bad (although why anyone would make a custom slipcase for these is another matter. The HarperCollins set was a bit arbitrary as it was).